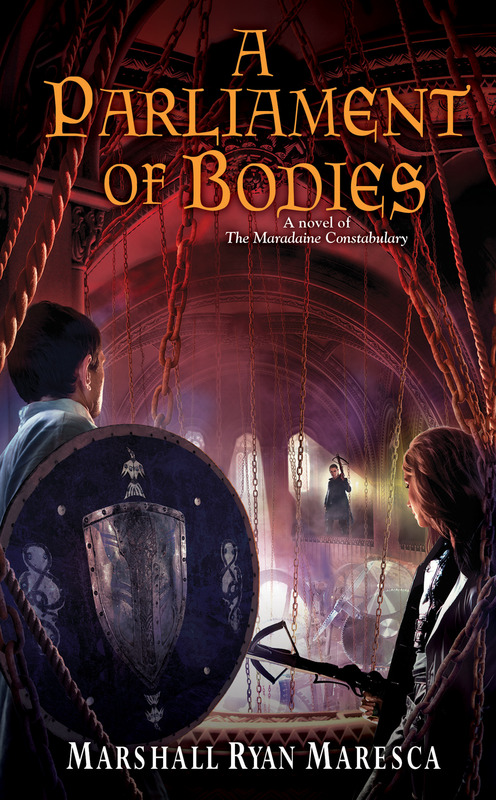 Mary Robinette is a Guest of Honor at NorWesCon in Seattle, Washington from April 18 to April 21st 2019. You can register at the door. Here’s where to find her while she’s there! Katherine Johnson, Dorothy Vaughan, and Mary Jackson, the NASA mathematicians whose stories were dramatized in the 2016 film Hidden Figures, weren’t the only women and people of color who delivered distinguished service during NASA’s early decades. Come hear about the “Mercury 13,” Margaret Hamilton, Maj. Robert H. Lawrence Jr., and others who crossed the gender and color lines. 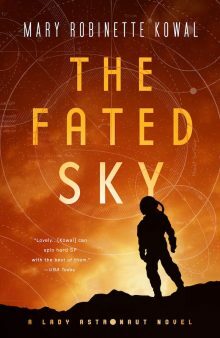 Come meet our writer guest of honor, Mary Robinette Kowal, and learn about her work and process. Science fiction has always been the inspiration of technological advances, but now ideas can be achieved almost as soon as they are thought up. So how do writers stay a step ahead? How do writers handle the truth of real science and the fiction that is needed for writing their stories? Is it a crisis for the writer’s imagination, or does it serve to inspire? Come send off Norwescon 42’s guests of honor with fanfare. We’ve made it through another year, and we want to celebrate the good times we’ve had. Welcome to the Burnt Empire Saga. What is Ashok’s favorite bit? 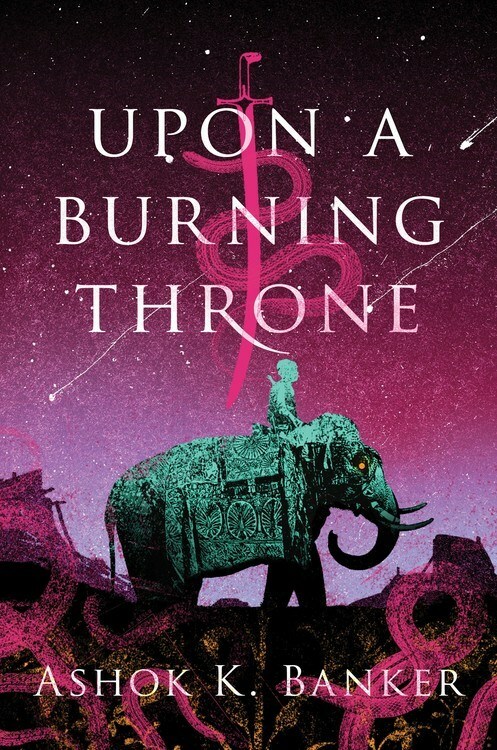 Upon a Burning Throne is a fairly short book. Almost a novella. Barely a morsel. Only 246,000 words. Why, I’d call it a short story. Or a flash. A fragment, really. It’s only the first of a nine book series called The Burnt Empire Saga. And the later books in the series are considerably longer than the first. 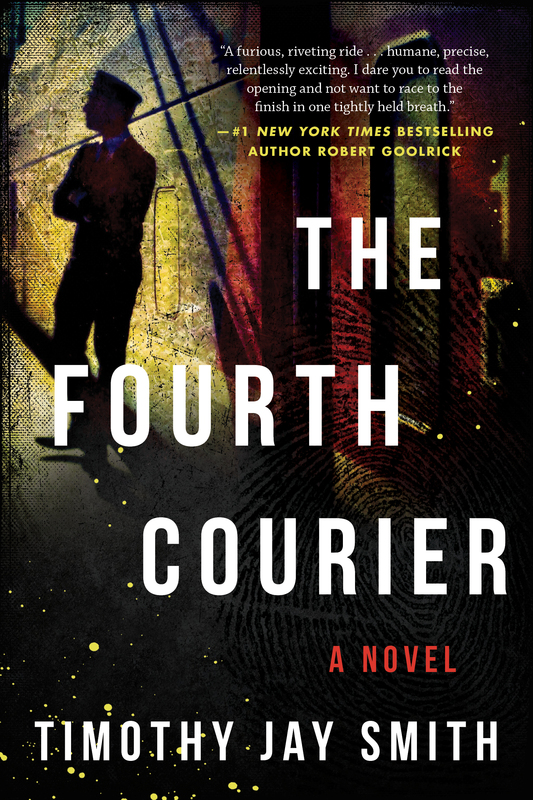 So much longer that, depending on the publishers, paper costs and binding technology at the time they’re published, they might even be split into two parts apiece. Which is what the Indian publishers of Upon a Burning Throne have done for their edition. Honestly, I think the length is nothing at all, especially if you love exciting, immersive epic fantasies. It’s such a teensy weensy thing, a pupper of a story, a wee kitten. In fact, my favorite bit in the book is what I left out. Not out-takes, or the short stories, novelettes, and novellas I excised from the original draft and which have been published on Lightspeed Magazine as Legends of the Burnt Empire. Those are more on the order of important backstory as well as origin stories of key characters and relationships that impact the main plot of Upon a Burning Throne. In a sense, they are part of the Burnt Empire Saga as a whole. I don’t mean those parts. I mean the parts that literally don’t exist anywhere in print or pixels. They only have a life in my mind. I’m talking about the things I’ve left unsaid in the book. Those two chapters and characters and what they do in one case, and say in the other instance, change everything that is to follow, turning the whole book on its head, so to speak, or pulling the rug out from under everyone’s foot – the other characters’ feet, and, if I’ve done my job right, the readers as well. Similarly, in the beginning of the book, the main opening sequence, the long set-piece broken into several smaller chapterlets, the main “hero” or chief protagonist of the entire series and story is introduced, but this person is only just a baby at that point. That baby in a blankie will turn out to be the main protagonist of the Burnt Empire Series, or hero, if you will. But I never say so openly in Upon a Burning Throne. I’m only saying it here, on Ms Kowal’s lovely online soap box, because it’s my favorite bit in the whole book. I introduced the hero of the entire series as a baby in a blankie in a single brief scene in Book 1, and then never said a word more about that person in the rest of the 246,000-word book! Again, this isn’t a spoiler. Anyone reading about Upon a Burning Throne will soon learn that the sequel A Dark Queen Rises follows lickety split on its heels. Just a year later. 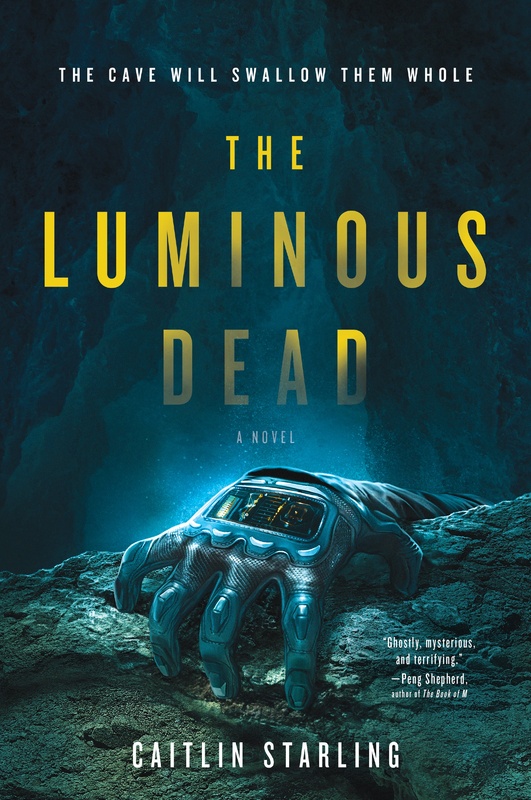 And as that second book’s title so blatantly and shamelessly reveals (major spoiler now) that protagonist is, of course, the eponymous dark queen. The same one whom you were introduced to briefly but memorably as a baby in a blankie in Book 1. Yes, the very one. Gadzooks. And I never told you that when she first came on the scene. Or at any point thereafter. In fact, I never even hinted throughout that entire 688-page hardcover volume (beautifully designed, bound, with a delicious cover and a simply sumptuous map, by the way) that she was even going to be the protagonist! Like I said before, I left that bit out. Deliberately, wilfully, knowingly, with full knowledge and intent. I wrote an entire BFF (Big Fat Fantasy, not to be confused with Best Female Friend, though those are awesome too) without letting on that the main protagonist doesn’t even take center stage until book 2! Because all heads turn when the hunt goes by. And the Queen, especially the Dark Queen, never leads the hunt. She arrives in style, heralded and ushered, the path well beaten and cleared, the crowds assembled, the trumpets echoing across the vale. Ashok K. Banker is the pioneer of the speculative fiction genre in India and the author of 60+ books, including the internationally acclaimed Ramayana series. His works have all been best-sellers in India, and have sold around the world. Rhia Harlyn risks death for science. Accused of heresy for promoting an unorthodox cosmology, she must defend herself, her work and her House alone. If only she could rely on her feckless brother Etyan, transformed through the combination of an occult scientist’s experiments and the harsh rays of the skyland sun. But she knows she cannot. When Dej, Etyan’s half-alien lover, finally uncovers Etyan’s dark secret she runs off into the perilous skyland. She is looking for peace in a world that has rejected her; what she discovers instead will change everyone’s lives. It probably comes as no surprise that I found it hard to pick a favourite bit from my latest book. Most authors have several – ideally many – moments they love in their novels; we spend a lot of time shaping these stories, so if we aren’t loving what we do – at least some of the time – then that’s a sad state of affairs. In this case, there is also a higher-than-average risk of spoilers. 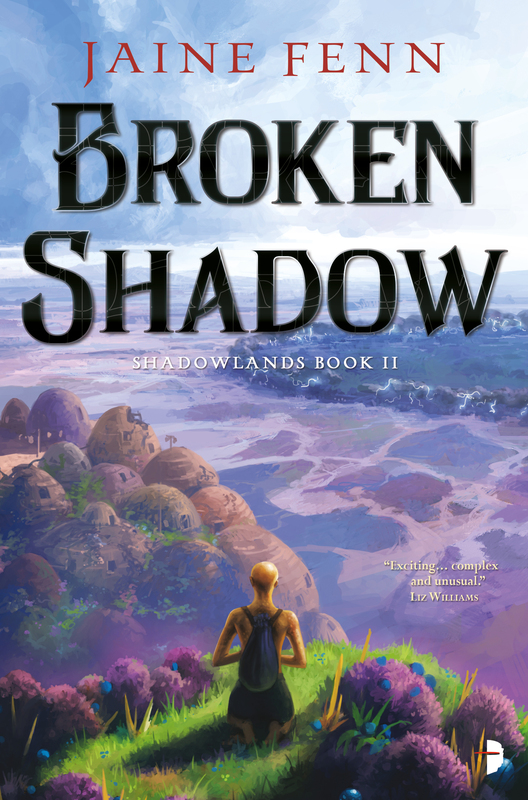 Broken Shadow is the second of two books in a science fantasy duology and although I’ve done my best to make it stand alone, there are certain plot-threads set up in the first Shadowlands book, Hidden Sun, which pay off here. My first choice favourite bit would probably be when Rhia, my enquiring and unorthodox protagonist, wakes up about two thirds of the way through the book to find that overnight the world has… yeah, that’s a massive spoiler, so whilst I loved writing that scene of realisation and reaction feeding into action only she would take, I can’t really share it here. The bits I love most in Broken Shadow most are character moments – again, probably true for most authors – when these people we’ve spent so much time with implement their cunning plan or find out what’s really go on or pull off the seemingly impossible. 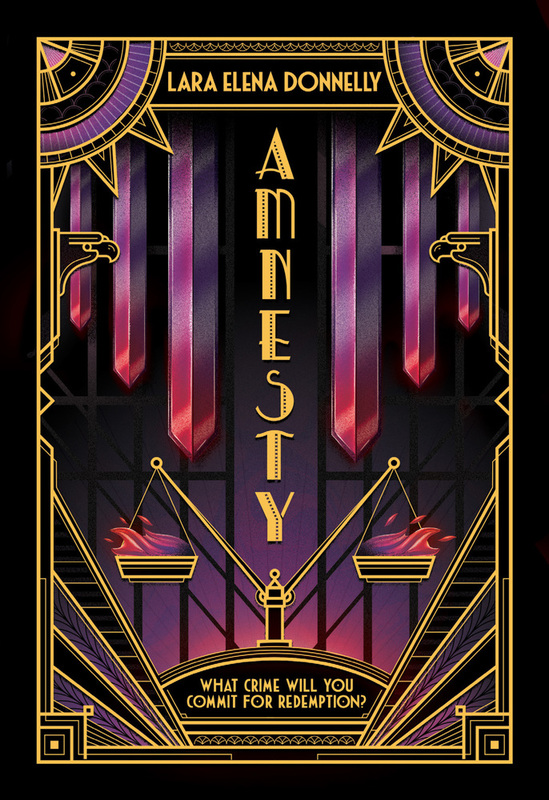 And if I have to pick a non-spoilery favourite bit for Rhia it would be her heresy trial. In Hidden Sun, Rhia discovered something about the universe that the reader already knows to be true but which no one else in her world believes. Now, the Church is challenging her over it. In writing Rhia’s trial I took a lot from the real world. Firstly, as straight plunder: I shamelessly copied details from the real-life trial of Galileo, though I upped the stakes for Rhia. Rather than house arrest and having her book banned, she faces a brutal execution and the suppression of her ideas before they’ve even been made public. Secondly, explorations of what truth is versus what people choose to believe have been at the forefront of my mind for a while. 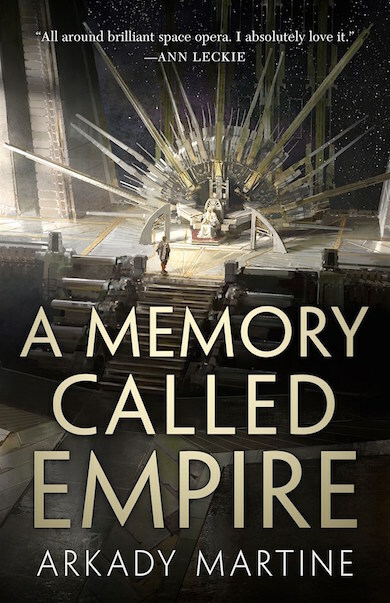 They say you can date any SFF book to within a decade regardless of when and where it is set and this book is definitely a product of a ‘post-truth’ world. At her trial she rests her defense on trying to prove her theory, whilst also demonstrating that it doesn’t challenge the extant religious teachings. And she’s right of course. However, I took a perverse pleasure in sharing her slowly dawning realisation that too many people see ‘truth’ not as a provable concept with objective reality but merely as a tool to further their own ends. The irony for Rhia is that if her theory is ruled not to be ‘true’ then it can hardly be considered heretical, an argument which unfortunately only works when dealing with rational people. Having finally been forced to acknowledge the truth about ‘the truth’, and to face the consequences of daring to challenge it, for Rhia to then wake up and find that the world has…done what it has done…well, that goes beyond irony. 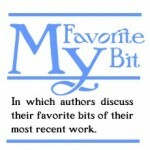 Jaine Fenn studied linguistics and astronomy before becoming a full time writer. Her first book, Principles of Angels, started the Hidden Empire series of character-driven space opera novels. She won the British Science Fiction Association’s Shorter Fiction Award in 2016 for Hidden Empire, and now divides her time between original fiction, teaching creative writing, and writing for tabletop and video games. She lives in Devon. 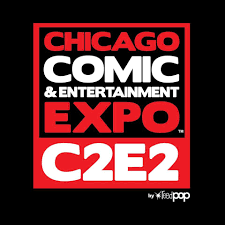 Mary Robinette will be at C2E2 in Chicago on Saturday, March 23rd. You can get tickets here. Top science fiction and fantasy authors discuss the predictions of near-future SF– what has come true, and what might be coming to pass? They’ll also share their predictions for what Chicago will look like 50 years (or more!) from now. Featuring: Sue Burke (Semiosis), Cory Doctorow (Radicalized), Mary Robinette Kowal (The Calculating Stars and The Fated Sky), and Alison Wilgus (Chronin) This panel will be followed by an author signing in the C2E2 Autographing Area. 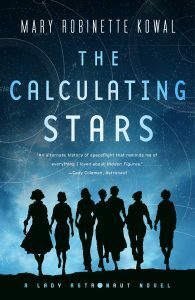 This is a free autographing session to meet Sue Burke, Cory Doctorow, Mary Robinette Kowal, Alison Wilgus and Mirah Boelender. Books will be available at the signing for purchase. Join some of your favorite Tor authors as they discuss how fantasy and science fiction overlap and inform one another and what constitutes magic and mayhem in both genres. How are authors breaking traditional rules of the genres and finding new ways to explore other worlds– or putting some extra magic in our own world? Featuring: Sue Burke (Semiosis), Cory Doctorow (Radicalized), Mary Robinette Kowal (The Calculating Stars and The Fated Sky), and Alison Wilgus (Chronin) This panel will be followed by an author signing in the C2E2 Autographing Area. 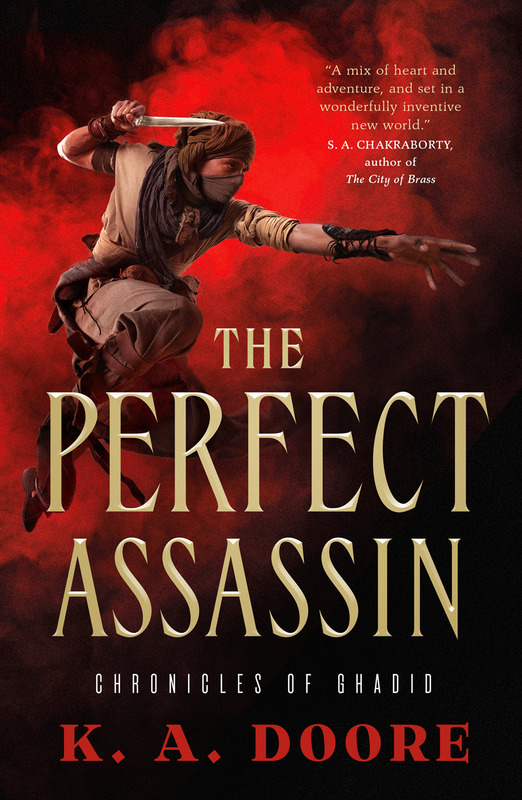 This is a free autographing session to meet S.A Chakraborty, Sue Burke, Cory Doctorow, Mary Robinette Kowal, Alison Wilgus and Mirah Boelender. Books will be available at the signing for purchase. 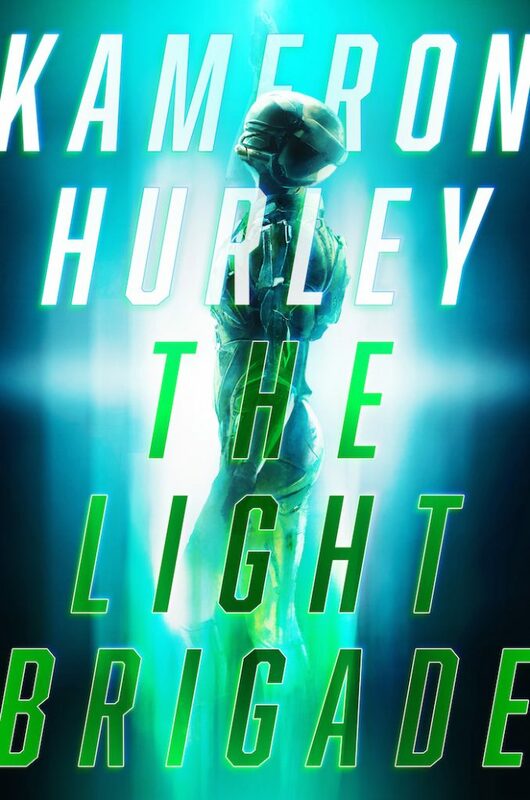 The Light Brigade: it’s what soldiers fighting the war against Mars call the ones who come back…different. Grunts in the corporate corps get busted down into light to travel to and from interplanetary battlefronts. Everyone is changed by what the corps must do in order to break them down into light. Those who survive learn to stick to the mission brief–no matter what actually happens during combat. Dietz, a fresh recruit in the infantry, begins to experience combat drops that don’t sync up with the platoon’s. And Dietz’s bad drops tell a story of the war that’s not at all what the corporate brass want the soldiers to think it is. Is Dietz really experiencing the war differently, or is it combat madness? Trying to untangle memory from mission brief and survive with sanity intact, Dietz is ready to become a hero–or maybe a villain; in war it’s hard to tell the difference. I would remember this story again when I rescued a bird from my grandmother’s cat not long after. Were we going to eat it? What would happen to it? I hid it in a shoebox for a while, until my cousin discovered it, and then we showed it to my grandmother. She made us keep it outside. It didn’t recover. But at least we didn’t eat it. It’s interesting to me what types of stories stick with us from our childhood, which impressions. My novel The Light Brigade has a lot of big ideas: time travel, interplanetary war, dangerous tech, propaganda and psychological manipulation and a lot more. But while those big ideas may draw one to dive into a story, the beating heart of many books isn’t the big idea, but the smaller, emotional ones. The ordinary people caught up in something extraordinary. I remember scavenging on the beach of a sludgy river called the Tajo Luz, me and my cousins. My brother was too young, still slung across my mother’s back. She walked ahead of us, scraping at the beach with a homemade rake, uncovering bits of discarded junk. Farther up the beach, where the sand turned to scrub, a flash of movement caught my eye. I climbed the shallow dunes. Nestled at the top was a twisted mat of plastic ties, broken twigs, aluminum shavings, and synthetic fibers. A baby pigeon rested there, half in and half out of the nest. One wing lay outstretched, flapping uselessly. I took the poor little creature into my hands. “It’s all right,” I murmured. I ran my finger over its quivering head. Its heart fluttered against my palm. I slid down the dune and ran to catch up with my mother. I was barefoot, but the rough ruins of the beach hardly bothered me anymore. My feet were dirty, calloused things, hunks of sturdy meat. “Mama!” I called. She turned, her dark hair blowing back over her shoulder. The sun rose behind her, thick and runny as fresh egg yolk. “Let’s get that home,” she said, and she smoothed the hair from my face. It reminded me of how I had stroked the bird’s tiny head. We took the baby bird home along with six mollusks, some copper wire, and a meter-long metal hunk that bore the faded gray circles of the NorRus logo. I slept that night next to the baby bird. In the morning, my mother boiled off the bird’s feathers and cooked it whole. I’d like to tell you I had no stomach for it. But if you think for a minute I didn’t want to shove that weary bird down my gullet despite having sung it to sleep the night before, then you have never been hungry. My mother ate the bird herself, to ensure she made enough milk for my brother. I sat across from her on the floor and watched her consume the entire fledgling in three crunchy bites. 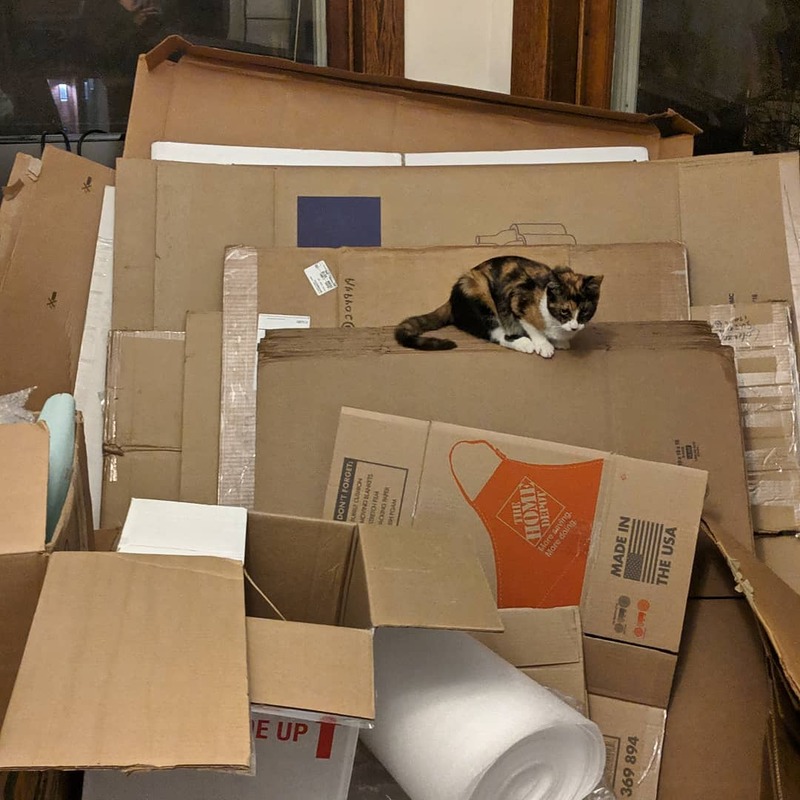 I didn’t cry until she left to greet my father, just home from an expedition to the dumps of medical waste outside the nearby military training academy. Until Teni needed more pilots for the war with Mars, years later, we were nobodies. Ghouls. Just like everyone else there. I clutched my knees to my chest and cried because I was so hungry. I cried because I wanted the pain to end. I had a realization about my mom and how she relates events to us. She often tells exaggerated, inaccurate tales of encounters and experiences. I wouldn’t say she is intentionally lying. As my father put it: she is conveying the emotion of the experience as it feels to her, not the blow-by-blow of the events. The “logical” truth of a thing is not her emotional truth. This is what many writers do. We take moments from our lives and the lives of others, and we ferret out the core emotion of those moments, those stories. Then we retell them, we fictionalize them, but because the emotion itself is true, the story feels real as well. It’s a bit of a magic trick. The Light Brigade is the best book I’ve written to date, and I can’t wait for others to dive into this world: big ideas, small ideas, messy emotions, real truths, and all. We’re moving to Nashville! In April! Oh, hey. Robert and I are relocating to Nashville. It’s like this. I go to my parents’ home in Chattanooga about once a month, which combines with my other travel schedule to mean a lot of time away from Robert. We’ve been experimenting with having him travel with me a little, but it’s tricky because he’s got a day job. A day job which is very time-sensitive and not easy to delegate. He’s been the winemaker of City Winery Chicago since it opened in 2012. These are not easy jobs to find and we figured that a move to Tennessee was out of the question. And then… the City Winery Nashville winemaker decided to move on. The company knows how much time I spend in Tennessee, so they asked Robert if he wanted to transfer. Y’all. This is such a good thing. It’ll put us closer to my parents, which will cut down on travel. Plus, it’ll make it easy for Robert to go with me, so we get to spend more time together. But, to make this work the timing is such that we’re moving in April. Wish us luck! PS Apologies to everyone at Futurescapes that I can’t make it this year. SO MUCH PACKING.